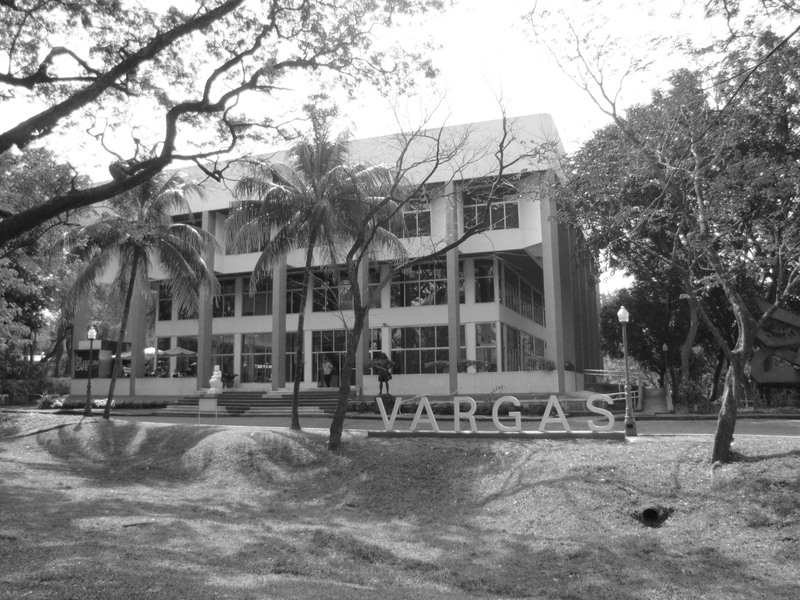 The building of the museum was formally inaugurated in 1987, almost nine years after Mr. Vargas bequeathed his collection to the University of the Philippines. The multi-level architecture was designed to support the museum’s diverse functions. It has a bookshop and space for the museum’s community arts program and a café for the museum and the university’s visitors. The Ground Floor. This is the main access to the building. Its front lobby serves as the main reception area with stairs leading to the other levels of the structure. This floor features areas for changing exhibitions. The Lobby, hosts temporary exhibitions, lectures, meet-the-artist sessions, book launchings, poetry readings and music recitals and concerts. Another area designated for changing displays on the west side of the building is the West Wing Gallery that stretches the whole area of the western portion and also covers the back side of the building. This area is designated for major solo exhibitions or group shows of contemporary artists. The Second Floor. Visitors will find on this floor The Main Gallery of the museum where the exhibit of the permanent art collection is displayed. On occasion it hosts special exhibitions such as those touring from abroad or local collections that require ideal conditions for display. The Third Floor. This level houses the archives, library and the Vargas memorabilia. It also has an exhibition space called The North Wing Gallery where photography and mostly contemporary art are exhibited. The South Wing Gallery holds thematic exhibitions of the permanent art and archival collections. Technical and artistic support services personnel – curator, researcher, specialist and staff – also hold office in this level. The Basement. This is the Vargas Museum’s activity center where workshops and community arts programs are held.